Dr. M. A. Majeed Khan is an Assistant Professor in King Abdullah Institute for Nanotechnology, King Saud University, Riyadh, Saudi Arabia. He obtained his Master’s Degree in Physics from Jamia Millia Islamia, New Delhi. Later, he joined Jamia Millia Islamia as a research scholar in the Department of Physics and obtained his Ph. D degree in 2003 in Material Science. 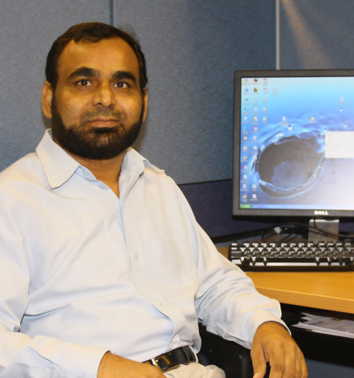 He has published more than 70 research papers in reputed international journals. His current research interests are in the fields of Nanostructured Materials and Solar Cell. He is also serving as editorial board member for The Scientific World Journal (Hindawi Publishing) and Metallurgical & Materials Engineering (Graphy Publications).